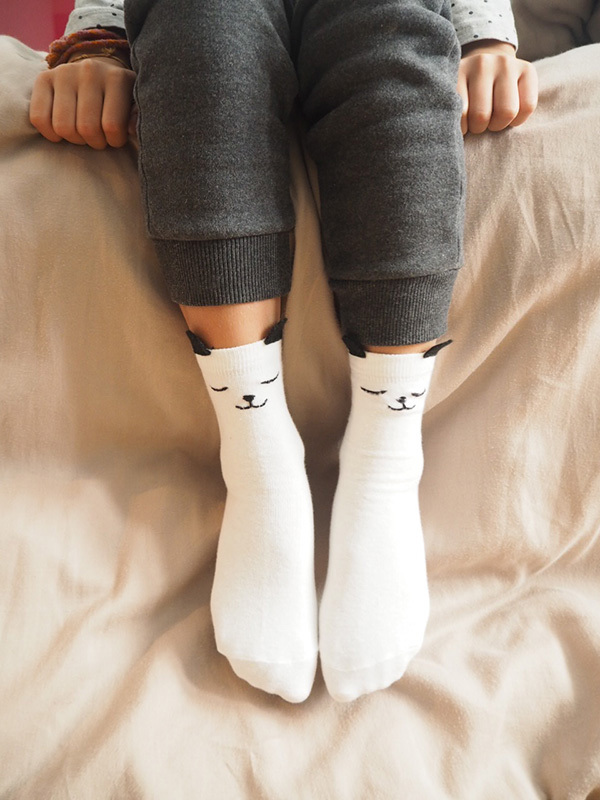 Inspired by the adorable Mini Dressing and Emile & Ida animal socks, I decided to make my very own. 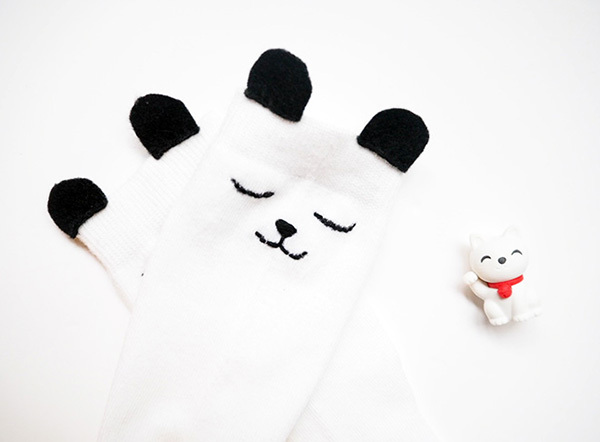 Without having too much time to waste, I shopped a few pairs of plain kids socks at Hema and with a few other materials already found at home, I was able to make a pair of DIY animals socks for the kids in just under 10 minutes! 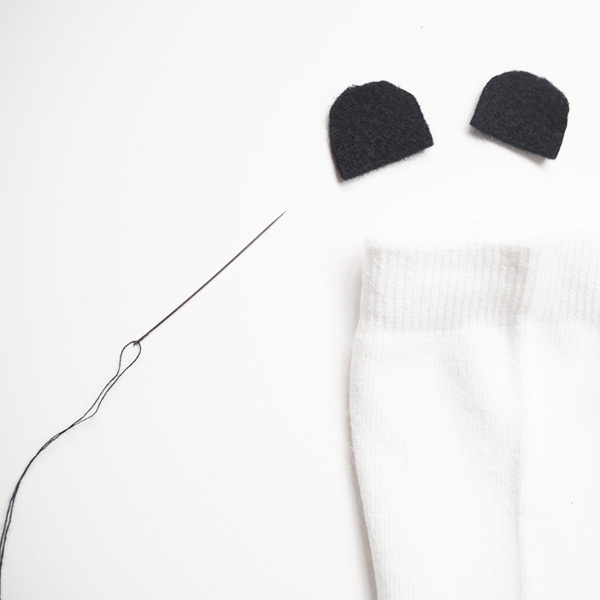 Step 1 Lay each sock out flat with the front part of the socks upwards. 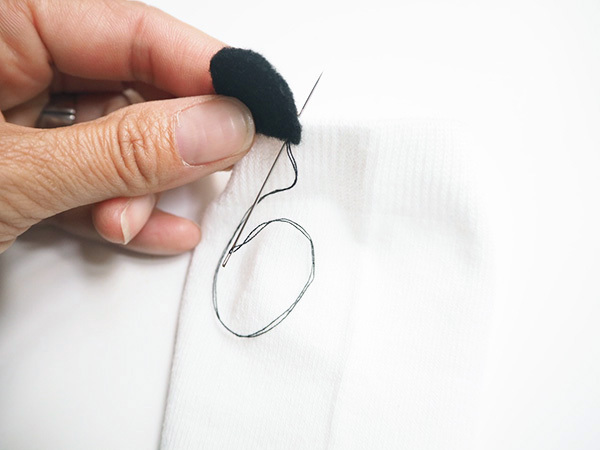 Step 2 Cut out four ears from your fabric scraps. 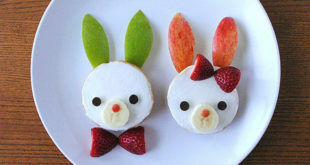 I made round U-shaped ears that are flat on the bottom, but you can be creative and make various shapes or even hair. 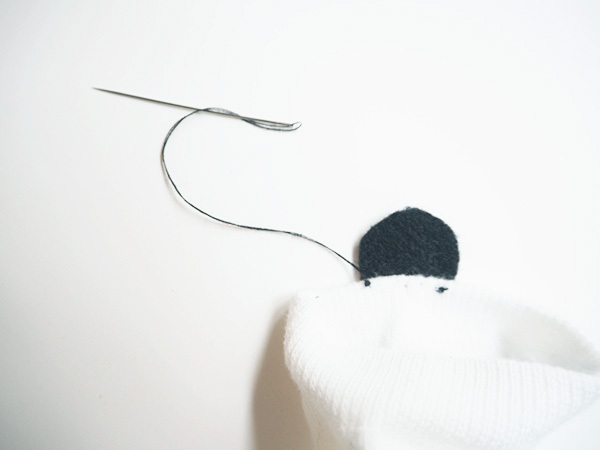 Start sewing the flat side of each ear to the sock centering them evenly in the front. 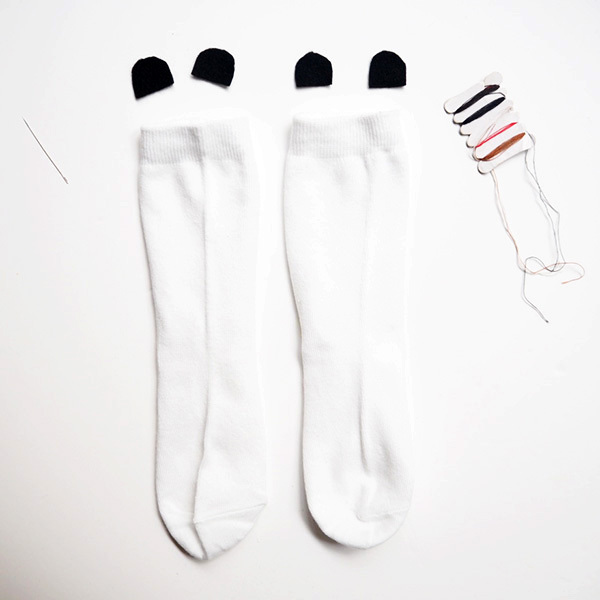 Continue until all four ears are sewn onto the top of each sock, with two on each sock. 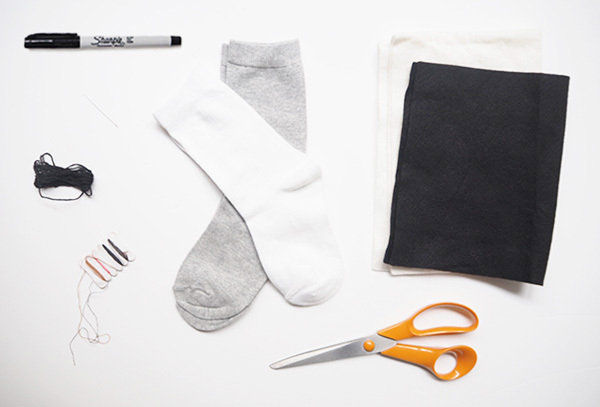 Step 4 This last step is optional, but making small embroidery back stitches on each sock adds an extra special handmade touch. 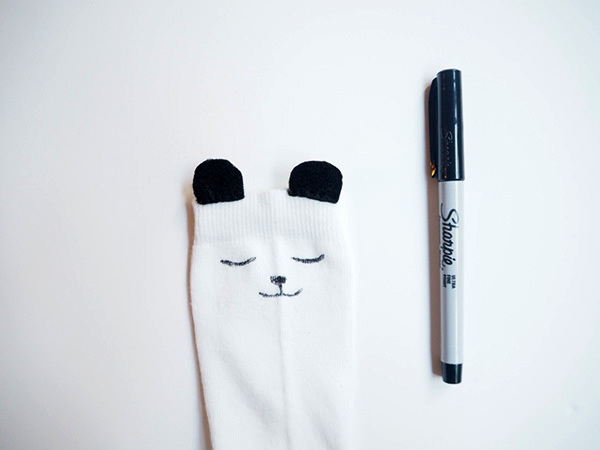 Thread your needle with embroidery thread and stitch over each hand drawn face. 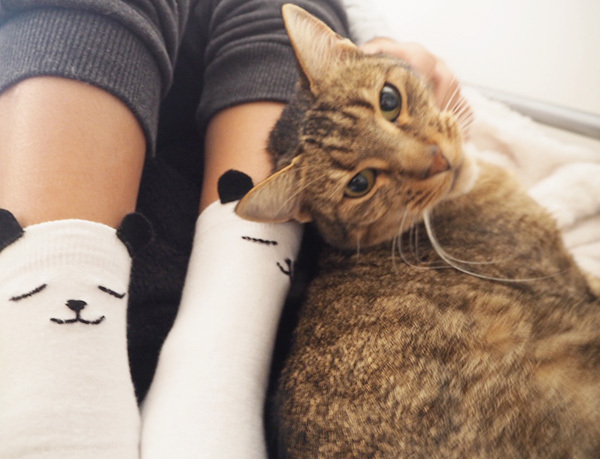 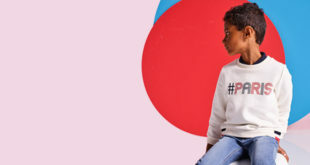 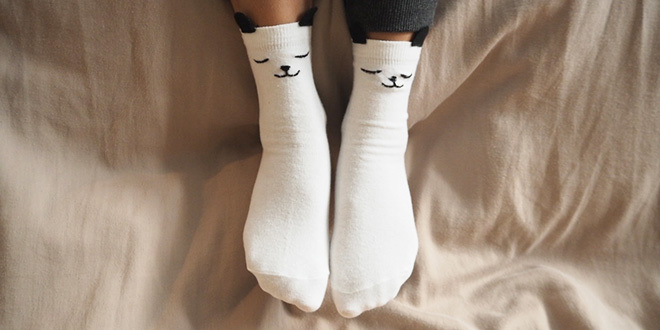 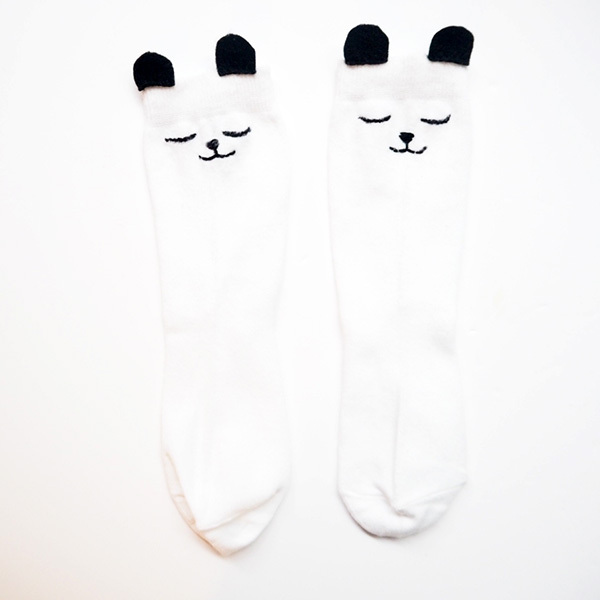 Now you can snuggle up and enjoy wearing these special animal socks! 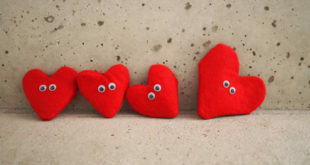 DIY Saint Valentine’s Day Hearts!